Perseverance is Key: 12 Tips for Sticking with Your Candida Program – Part 2 - YeastInfection.Org by Eric Bakker N.D.
July 29, 2013 by Eric Bakker N.D. I hope you found my last set of tips and quotes inspirational. This time I have 6 more to share, and I hope they’ll be equally helpful. Don’t knock it; visualization is very powerful especially as you use it more and more. Whatever goal or endeavor you are pursuing, close your eyes and start visualizing yourself as having achieved it. Visualize how happy you feel as a result of an optimally functioning digestive system – no bloating, no constipation or diarrhea – ever. Visualize beautiful skin, a sweet breath, loads of energy, no headaches, and no vaginal thrush. Just visualize for one moment that you go from day to day enjoying your body and never have to worry about any symptoms anymore. Especially, visualize becoming a lot more successful in all other areas of your life because of the extraordinary confidence you now have obtained from achieving your goal of being completely free of a candida yeast infection. Daily review your goals, and visualize achieving them. If you set yourself a goal of “just getting better”, then this is just a goal, a few words or a meaningless sentence. However, once you add a strong emotion, it starts to take on a whole new meaning and becomes a part of you. Achieving the goal of optimizing your health becomes a strong part of your character. Let’s say you set the following goal “I want to cure myself of a yeast infection”. This is a very plainly stated goal. Have you ever wondered what does it appear like once you put feelings and emotions? “I want to get rid of my yeast infection permanently because I’m sick and tired of when I go out eating with friends that I can only eat a very limited range of foods”. Or perhaps, “I want to get rid of my vaginal thrush permanently because it is causing a lot of tension between myself and my partner” Maybe this one ”After ten years of digestive problems, I want to be able to be one hundred percent free of bowel problems like bloating and pain and know what it is like to have my slim waist back again“ The more emotional reasons that you come up with for why you must achieve your goal of a permanent yeast eradication, the better. You should regularly review and add to your list of reasons. The best resource is your personal network, you will have a circle of contacts and there will be friends and family only too willing to support your recovery. It’s your job to communicate effectively to your network by being clear about what your intentions are and that you’d appreciate support in your quest to permanently kick your yeast infection. It helps to be specific when approaching your friends to give them information that’s easy to act on, such as “I’m avoiding alcohol for the next several months, and I’d really appreciate some support guys”. The successful treatment of an overgrowth of candida albicans needs a multi-stage attack, you need consistent persistence and a daily advancement towards your goal. Bruce Lee trained daily like there was no tomorrow and became a legend in martial arts. You also can become a legend in your own circles by committing daily towards your health goals. 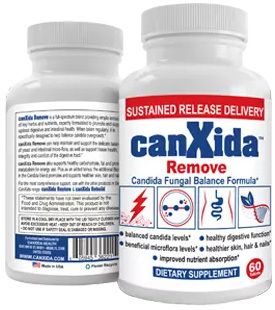 In my professional experience, all five aspects of the Candida Crusher Program I outline need to be carefully followed otherwise you will just get average results, my clinical observations have shown this repeatedly with many patients. I want you to forget that “magic pill” that will “cure” you; it is simply not going to happen. Following the Candida Crusher Program is not a walk in the park, yet it doesn’t have to be a one-year hike into the wilderness either. I have found that there are some patients who have enormous difficulty sticking to the commitment they make to change their lifestyle. They are sometimes so much at the mercy of their candida-induced confusion; some have muddled thinking and a lack of clarity that at times accompanies the high levels of toxins produced by the candida, that it can be quite difficult for them to take consistent action. I just wanted you to be aware of this important point before we launch into the Candida Crusher Program. You will get well; it is just a matter of time. Imagine a life free of digestive hassles, skin problems, it is not only a distinct possibility, it is a certainty with your perseverance. I want you to know that a permanent solution to your yeast infection can and will happen for you, providing you stay true to your word and follow the plan. Look for example at sports professionals, they follow the rules of the game carefully, and in your case, the rules for candida eradication as outlined in my Candida Crusher Program, they get regular and professional guidance from their coach, in your case, your health-coach, the Candida Crusher, they persist with much training and the outcome is almost always assured, success in their field. The winner takes it all, and like the Olympic athlete, you could even shoot for gold and totally surpass your own expectations by permanently shifting that chronic health problem like that weight you have been trying to permanently shift for years but gave up on. The difference between silver and gold is in going that extra mile. There are many aspects to getting over candida and restoring your health and wellbeing, and it is absolutely possible to completely overcome candida. Please follow my five steps carefully, and most importantly, remember that there is no clearly defined time for overcoming your candida yeast infection. It is all up to you, some patients achieve amazing results in as little as three months, with others it can take considerably longer, a year or more.